From just off! Enjoy a real chewy! Enjoy the udon menu variety. At a party where people off listening to everyone's taste, served boiled udon is also fun. Depends on if you want to turn off your weight is approximately 5-8 minutes. Oedo plate roll udon soup, seaweed extract, bonito extract, and soy sauce as the main raw material, with each company using the finest ingredients. 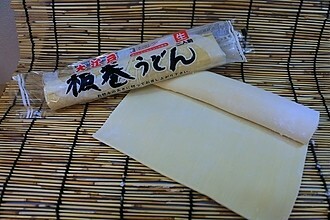 Hidaka from kelp, a famous high-quality kombu with raw materials. Compared to other tangle of Hidaka konbu, contains many amino acids called "laminin" that works to lower blood pressure. For this reason, umami is not a rich finish and features extracts. Bonito flakes of YAIZU selected using raw materials. During the Heian period said that roots of katsuobushi, or firm fish sauce there was making hard fish of YAIZU bonito was very has a history. So there was presented to the Royal family, bonito flakes of YAIZU, and is reliable. Special soy bean sauce using raw materials. Is usually extracted oil soy sauce ingredients and uses this sauce is made from soybeans intact. Therefore, "mellow," soy's feature is the deep umami. Cut to the thickness you like, enjoy. At the time I want to eat! Only want to eat! In the weight you want! • Are noodles crackers cake 14 species were brought from China by the Nara period (8th century) Envoy in the axon mochi (sakubei), in Japanese called wheat ropes were in place. 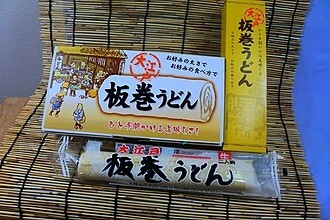 According to engishiki, a codification of the mid-Heian period Axon cake is mixed with rice flour, had been made. -During the Kamakura period, and brought new techniques of noodles by Zen monks. 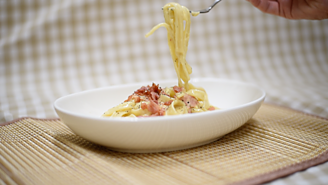 It is made with only flour, without the use of rice flour noodles. 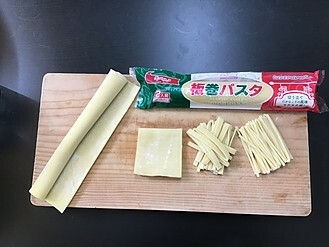 Extend the noodles in greased with a rolling pin "somen", cut with a knife put is called "cut wheat", the latter evolved hiyamugi and Udon noodles. -During the Muromachi period, the monks of snacking udon (noodles) is eaten as was. And with the spread of tea was widely told in the citizenry in General. , Nanbokucho and Muromachi, Azuchi-Momoyama period (1400-1600) and through the current diet caused prototype was completed, and is able to store along the highway. -During the Edo period, and will appear "noodle shop" in many urban and highway. Stand "street play" the original in urban areas, as was drinking udon or soba noodles. And during the war, after the war, in terms of the food situation, "fat boiled wheat flour" were asked. -In the period of high economic growth, asked the rationalization of the work and labor-saving. "Instant noodles" appeared in the diet, in the udon "put boiled noodles can be" asked. -Should be rationalized and laborsaving in the current "natural foods", "taste of home" said the amount and price more than "quality" has showed remarkable tend to play with the "original taste". And at udon flour was designed and compounding is our "Super Linda' answers to the needs of the times.